Is “The Voice” the new sheriff in TV town? Will The Voice replace American Idol? Watch out American Idol, there’s a new singing show in TV town, and it’s called The Voice. Idol may have met its match in NBC’s new singing competition, which featured raw unmatched talent and a heavy hitting pop star multi-genre musical cast. Yes, it’s true, Idol made a much-needed comeback in its last season with a noteworthy judges table that included Aerosmith rocker Steven Tyler, veteran Randy Jackson and the lovely Jennifer Lopez. The show did well and was popular in TV ratings. However The Voice reigned supreme in summer TV, which doesn’t offer much. 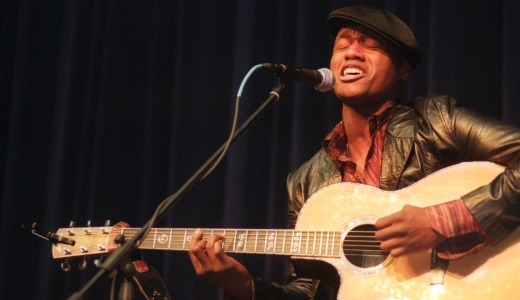 The new show crowned Javier Colon its inaugural winner after audience members and viewers at home cast their votes. The results were revealed this week in its season finale. Voice used a new spin on TV singing competitions early on in the season, which had its star judges/mentors listen to contestants in blind auditions. During each audition, on a grand stage, the four judges had the choice to recruit the singer on his/her team by only listening to each singer’s voice, with no visual contact. If the judges liked what they heard, they were allowed to turn their chairs around and put a face to that voice and then try to recruit that contestant to their team. If more than one judge, who later became the contestant’s personal coach, picked the same singer, the judges then needed to convince that singer to choose his/her team. Ultimately, if the singer had more than one option, he or she made the final decision as to which coach they wanted to be led by. Four teams of eight were created, and each singer faced off in singing matches week after week under the direction of their team’s coach. Their performances and ability to move from one round to the next was decided on by the majority votes of viewers at home. The show ended this week with four remaining finalists, and neither of them disappointed. Team coaches included popular artists Cee Lo Green, Christina Aguilera, Adam Levine (from Maroon 5) and country singer Blake Shelton. The team leaders definitely encompassed a variety of genres. Each seemed to really like their roles as advice givers, given their success in the music business. All of them grew fond of their mentees and expressed great satisfaction and pride in how much their protégés grew over the weeks. In the end Levine’s team, with its finalist Colon, walked away victorious. Both Levine and Colon sang Michael Jackson’s “Man In The Mirror” at the show’s end. And they absolutely killed it. As a matter of fact, it’s safe to say that Colon sounded better than his coach. Colon, a husband and father, has had his ups and downs in the music industry over the years and has been turned down in record deals. He was hoping for a big break, and he certainly achieved that goal. Colon has amazing range and can reach high notes and rock a steady, soothing, soft yet crisp tone that most music ears would welcome. He will receive a $100,000 prize and a recording contract. That’s not to say the other finalists weren’t at the top of their game. For example, Green’s finalist Vicci Martinez was exceptional. The two sang a duet of Pat Benatar’s “Love Is A Battlefield” and rocked the house wearing over-the-top costumes accompanied by kid dancers in an extremely well choreographed routine that was mind blowing. Their vocals were not so hot but the performance as a whole was spectacular, something Green fans can always expect from such an original artist and music producer. Other finalist included Aguilera’s Beverly McClellan and Shelton’s Dia Frampton. Although Aguilera has had her recent slumps in the movie business, she still has a powerful vocal range and a load of experience. 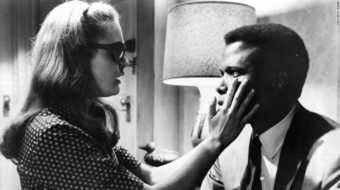 It was encouraging to see her bring attention to McClellan’s personal journey, which culminated in TV stardom. Critics say what was especially unique about The Voice was that it highlighted the fact that finalists McClellan and Martinez are both openly gay. This welcoming fact is something American Idol has not been able to address with some of its past performers, some of which only revealed their sexuality after the season ended. 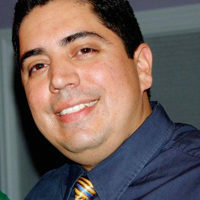 Both McClellan and Martinez represent a historically underserved constituency on TV, and their coaches Aguilera and Green openly celebrated their orientation. For the most part, singing competitions on TV have done well among viewers. But in the age of overwhelmingly bad reality-TV, there is little room for originality and good taste. Yet The Voice may have made a dent in that sphere. Time well tell if viewers at home have found yet another talent-searching and live singing show worth their time and support.